Strategic Planning for YOUR Herbarium—A Professional Development Opportunity brought to you by the Society of Herbarium Curators and iDigBio. What is strategic planning? Why is it valuable? Where does one begin? Join us for a morning of discussion and talks facilitated by a professional project manager. Learn from your colleagues’ experiences and build a plan for initiating the process within your own herbarium. Although we’ve done a good job with strategic planning across the collections community as a whole, relatively few herbaria have undertaken the activity for themselves. Strategic planning is important because it forms the foundation for long-term sustainability and helps communicate your herbarium’s value and vision to administrators, the public, colleagues, and policymakers. Come and start YOUR strategic planning process today! Location: Botany 2017 – Fort Worth, Texas. Omni Hotel Conference Center. 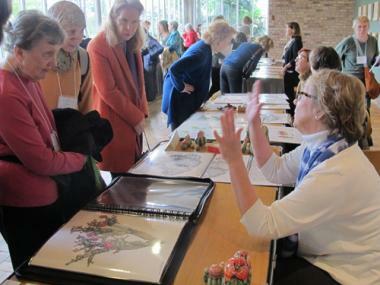 The Society of Herbarium Curators and ASPT sponsored a half-day symposium to encourage broader discussion and sharing among the membership about issues related to herbarium management, sustainability, and visibility. More than 50 participants attended. II. Digital herbarium “big data” resources: their curation and use in research.